Rev. Glenn J. Conaway knows what it’s like to grow disciples. Having served GNJ for 30 years in Fairton, Moorestown and at Trinity Church in Mullica Hill, Conaway exemplified connectional and transformational leadership through each of his appointments, helping to grow congregational vitality. Now Conaway is stepping out in faith to take on a new leadership role as the District Superintendent for Delaware Bay. In selecting Conaway as superintendent, Bishop John Schol worked closely with the cabinet in evaluating each person who was suggested. As someone who depicts many of the characteristics GNJ leadership seeks in clergy, Conaway’s appointment was solidified. Conaway grew up in Glassboro attending Glassboro UMC. He went to Asbury College in Wilmore, KY, where he studied education. He felt that Asbury gave him a solid understanding of how to live out his faith in community, and particularly enjoyed the mission and ministry opportunities available through the college. Conaway graduated in 1984, going on to earn his M.Div at Eastern Theological Seminary in Wayne, Pa, and worked with youth at Trinity UMC in Pennsville. 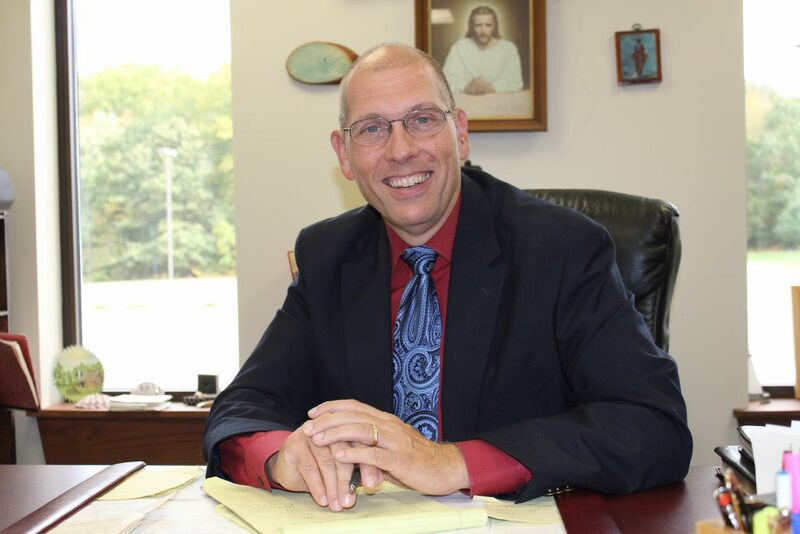 With an open heart and mind to the doors God has opened in his life, the new appointment to Delaware Bay District Superintendent has inspired Conaway. “I’m approaching it as a learning experience,” said Conaway, who expressed his gratitude for the warm support from his GNJ colleagues. While at Trinity Church in Mullica Hill, Conaway worked side by side with clergy and laity to transform a congregation worshipping under 100 people each week to one of GNJ’s largest congregations of 500 worshippers attending three different services in a newly built facility on a 16 acre site. Conaway has worked in the midst of major socio-economic shifts and feels he has something unique to bring to his new appointment. With a contagious love for God and people, Conaway’s passion for mission and moving people and ideas to action has inspired many. Genuine in his relationship with God and others, Conaway seeks a team experience and connects with others through their interests and ideas. With a dedication to learn and apply new ideas, Conaway’s creativity doesn’t let adaptive challenges stop the mission but keeps him curious and inquisitive in risk-taking and applying innovative ideas even when there is limited resources to overcome challenges. Currently serving a third term on the Board of Ordained Ministry, Conaway has served two terms on the District Committee of Ordained Ministry for the Delaware Bay District, has been a clergy mentor, served on the Board of The United Methodist Homes of New Jersey, and was a Trustee for the former Southern New Jersey Annual Conference. In 2005, he received the Denman Evangelism Award. Conaway’s wife, Holly (Thielking) Conaway is a public school teacher and they have two grown married children: Timothy and his wife Emily and Bethany Vega and her husband Fred. Conaway will officially begin his new appointment as District Superintendent on July 1, 2017, but will begin working with the cabinet to assist in making appointments and working with Superintendents Bethke and Roberts on matters pertaining to the Delaware Bay District. “There’s a lot of potential,” said Conaway, who is excited for the opportunities that may open due to the expansion of Rowan University and the future of the district. Conaway praised the teamwork of clergy and laity at Trinity Church in Mullica Hill. “We pulled together to say, ‘let’s make this happen, let’s really make disciples of Christ and make Jesus known,’” he said. That mission remains Conaway’s driving force as he steps into his new role. Bishop Schol invites GNJ to pray for Conaway as he prepares for this new ministry.